Get the best prices for your metals: become a Pac Iron Partner. 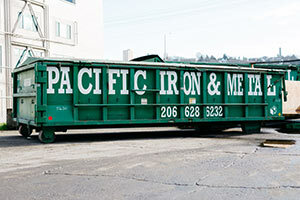 Since 1917, our metal recycling center has excelled at scrap metal management by practicing environmentally safe recycling and utilizing our global network of consumers to get Pac Iron Partners the best prices for their metals, every time. 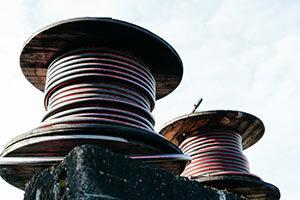 Our experienced purchasing team services the Pacific Northwest, Alaska and beyond. Simply call our one-stop shop, and our representatives will visit your facility to find a recycling solution that ensures a minimum interruption and a maximum return on your metal. Our large inventory of metal recycling containers can accumulate scrap metal on your schedule, and our reliable dispatch service means prompt return for your asset recovery! Call now to become a Pac Iron Partner today!